A mixed use development at Shooting Marsh Stile beside the Exe bridges in the historic city of Exeter has recently undergone a maintenance programme. For maximum protection and durability for the timber cladding detail on the properties constructed for clients, Drew Pierce, Sadolin Classic exterior translucent woodstain was specified. The building was constructed to a distinctive American style with balconies and timber cladding to the façade, lending character that fitted in with the riverside location. Sheltered housing comprises the upper level with shops below. The cladding has been rejuvenated using Sadolin Classic. 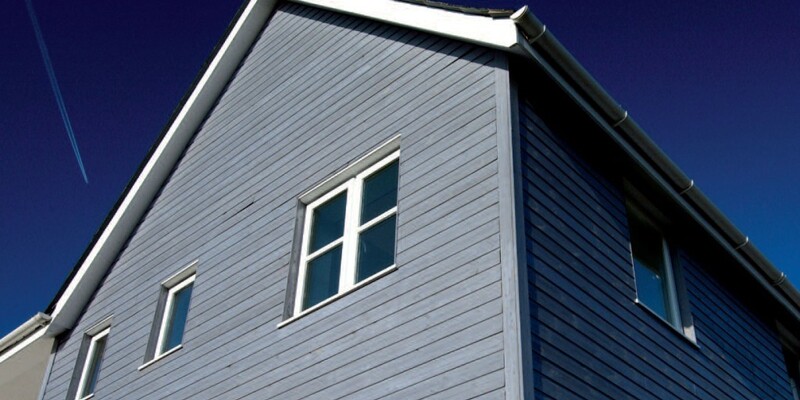 For long-lasting protection, Sadolin Classic provides a tough weather protection that offers excellent durability and resistance to peeling and flaking. Specified in light grey, Gregorian shade, the coating was applied by painting contractors, Terry Smyth, as part of a larger maintenance contract to modernise the entire building envelope.